There is little I find more lovely than waking up to a beautiful snow. The backyard is covered with a soft white blanket, and the world seems almost more peaceful and quiet. That is until I have to face the ramp in front of the house and worry about how I am going to get my daughter to school on time. 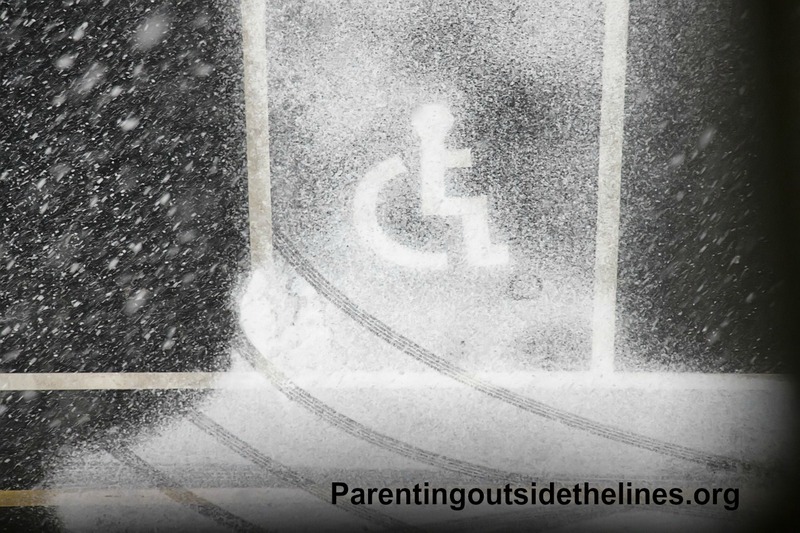 Wheelchairs and snow just do not mix well. My daughter’s chair will not make it through even a few inches of snow in the school parking lot or our driveway. It takes a herculean effort of pushing and shoving, while trying to tilt the chair back in a simultaneous wheelie. Plus the fact she is generally freezing while I am trying to do this act. Her chair is heavy and doesn’t move well through altered ground. There is the added fun fact that when we do get to our destination, there are always those ramps that haven’t been lovingly shoveled by a Mom, or paths through parking lots that the average person has no problem with, but a person on wheels finds challenging. And it’s cold! When my daughter was little, and crawled everywhere because she couldn’t walk, I was obsessed with the floors being clean for her little hands. Now, the wheelchair brings in slush and dirt and whatever else it can attach to its wheels and drags them all over the house. I often wonder how other people handle this. How do independent adults in wheelchairs make this work? If you are pushing a chair yourself, it has to be difficult when the wheels are all wet and gross. And it amazes me that so many of the major colleges that are accessible to young adults with physical disabilities are in states that get a lot of snow. Around us we have University of Illinois Urbana and University of Wisconsin Whitewater, which are both renowned for students with physical disabilities. But how do they manage it in the Midwest where snow is a given, and deep snow and extreme cold is just something we are used to having? It amazes me that all people with physical disabilities don’t migrate to Florida or Arizona the minute they come of age. I know my daughter would live somewhere warm if she could. She is not a lover of a beautiful snowy morning like her Mom. Some companies are designing chairs that can cross through all terrains and make mobility so much easier for people who use them. The Viking Four Wheel Drive Chair below looks like it could get through anything. There was a Ted Talk in 2012 by a man named Amos Winter and his team at MIT, to discuss a chair they were developing called the Freedom Leverage Chair that was affordable and could cross all terrains as well. 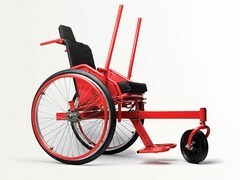 Check out the Ted Talk called The Cheap All-Terrain Wheelchair and see what you think. I love that MIT designers are looking for ways to make life more accessible. People with disabilities should be able to go wherever they want to go, to climb whatever mountains they wish, and to not be forced to “stay on the pavement” of life. There is a big world of adventure out there and we just need to find ways to clear the path.